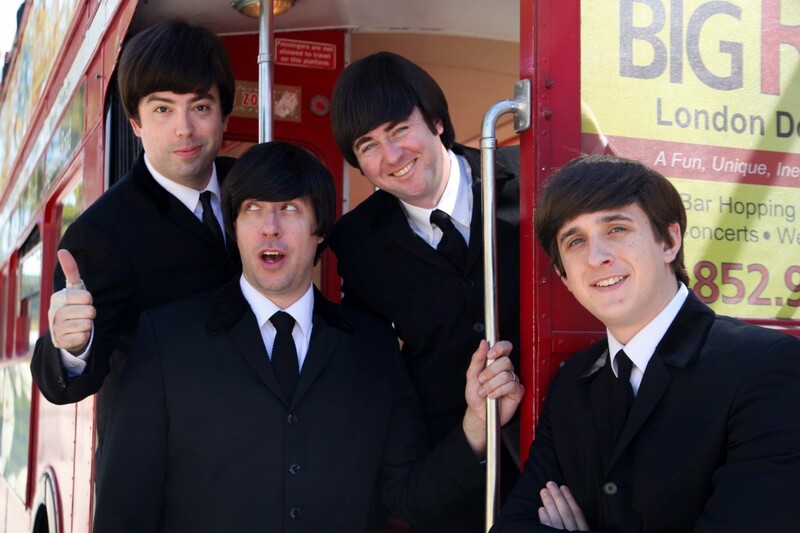 ST. GEORGE – Considered by industry insiders to be the most unique Beatles show in decades, “In My Life – A Musical Theatre Tribute to The Beatles” is the smash hit, award-winning retelling of the Fab Four’s story through the eyes of manager Brian Epstein and featuring renowned tribute band Abbey Road. “In My Life” will perform Friday at 7:30 p.m. at the Eccles Fine Arts Center on the Dixie State University campus. More than just a tribute concert, “In My Life” gives the audience a chance to relive pivotal moments in the extraordinary career of The Beatles: Liverpool’s legendary Cavern Club, “The Ed Sullivan Show,” Shea Stadium, Abbey Road Studios and the final live performance on the rooftop of their Apple Corp. offices. With Epstein serving as narrator, “In My Life” allows the audience to get a glimpse inside the world of The Beatles from their point of view, as well as hear some of the greatest popular songs ever written. Historical settings such as the Cavern Club are established on stage with videos and images which play behind the actors and musicians on a video screen. The four musicians/actors cast to play John, Paul, George and Ringo were selected from 220 Beatles tribute musicians, most of whom showed up for auditions in character. The band features Chris Paul Overall (Paul), Gregory Wilmot (John), Jesse Wilder (George) and Axel Clarke (Ringo). Brian Epstein is played by Alxander Jon. “There have been so many different Beatles band concert shows over the years, but in ‘In My Life,’ we get a chance to see The Beatles, up close and personal, and hopefully gain a deeper insight into who they really were,” producer Tom Maher said. When: Friday, April 18 at 7:30 p.m.